We all have a song that was imprinted on our very being since before the beginning. But how many of us have forgotten our song? How many of us didn’t even know we had one? Sometimes it gets covered over with a lot of things and we forget it and need to spend time uncovering it to recognize it again. or the fear if the others will even hear or like our song. long since you tried to… or if you didn’t even know about it. It doesn’t matter because the only time is now. all the things that’s been keeping you from singing it. 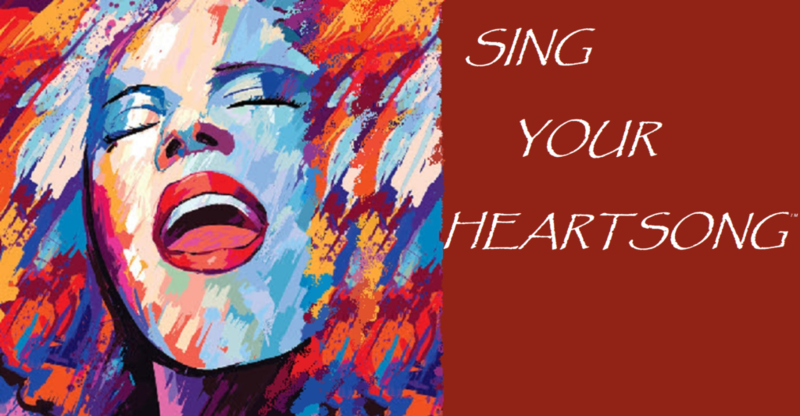 you sing it like never before! January 26, 2019 – Los Angeles, CA SOLD OUT! February 9, 2019 – Glastonbury, UK SOLD OUT! March 27, 2019 – Houston, TX SOLD OUT! 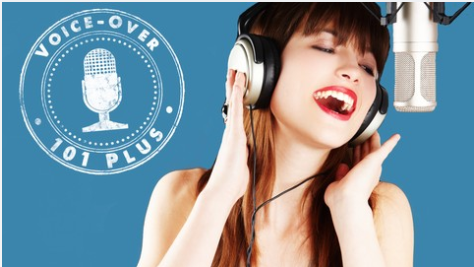 Have people told you that you have a great voice but you just weren’t sure what to do to get yourself out there and get started in the world of voice-over? You will know and be able to use the EXACT same songwriting process that has been used to write countless #1 songs. You will learn the fundamentals of commercial songwriting. Topics like song structure, melody writing, lyric writing, rhyme schemes, phrasing, etc. are all explained in detail. You’ll be able to AVOID common songwriting mistakes that instantly label you as an amateur to industry professionals…even if you aren’t one! These lessons are geared to help songwriters ranging from absolute beginners to intermediate songwriters. If you’re new…you won’t feel lost. If you’ve been writing a while…you won’t get bored and will learn a ton. These lessons are geared to help songwriters ranging from absolute beginners to intermediate songwriters. I had been writing for over 10 years before I learned a lot of the things I teach. If you’re new…you won’t feel lost. If you’ve been writing a while…you won’t get bored and will learn a ton. Ready to Drastically Improve Your Songwriting? Whether you’ve never written a song in your life, or you’ve been writing for years and want to step up your game…my video course will have you writing songs like the Pro’s. So there are countless books, videos, and classes that teach songwriting. What makes my video course better, or even different? Good question. All of these other sources can teach you how to write a song. What’s a verse, chorus, bridge, etc…and yes, we will certainly teach you all of these things. But in addition to the basics of songwriting, we teach you the basics of PRO songwriting. We’ve been a professional and successful songwriter for over 20 years combined and in this course wehow you the exact method my colleagues and I use to write commercial songs every day. The exact same songwriting method that has been used to write countless #1 hit songs on the pop, country, christian, and rock charts! I’ll also identify the most common mistakes songwriters make that instantly turn off industry professionals. If you’re currently making these mistakes, I can almost guarantee you won’t have success. Sorry…I don’t make the rules…but I know them, and now you can too! Songwriters and singer/songwriters who want to make songwriting MORE than a hobby. This course teaches songwriting with a strong emphasis on COMMERCIAL songwriting (meaning songs that make money, or songs you may hear on the radio). The sills and tools you’ll learn here apply to writing many different genres of music -pop, country, rock, christian, R&B, acoustic, singer/songwriter, Adult Contemporary, etc. Conversely, if you’re writing rap, classical, or any other very specific genres, I’d recommend checking out a course that is specifically geared for your genre. Whether you’ve never written a song in your life, or you’ve been writing for years and want to step up your game…this video course will have you writing songs like the Pro’s. Overcome your fears and hesitation about being on camera by releasing habitual negative thoughts. Feel confident every time you step in front of the lens so that your energy will instantly win over your audience. Eliminate awkwardness by connecting with your ideal viewer on the other side of the lens. Prepare your material or “script” so each video has a clear purpose and call to action. Structure your talking points so you can speak in a conversational and engaging manner. Express yourself naturally using dynamic body language while still being yourself on camera. Exercise your voice to gain flexibility and range so you can be clearly understood. Make a great first impression by looking your best through tips about hair, make-up and wardrobe. Set up a great do-it-yourself studio using equipment you likely already own. Create amazing videos quickly and easily because you have a proven system for success! Let’s take the fear out of this process. 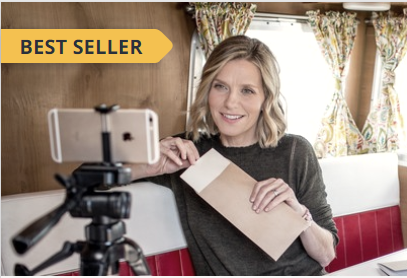 You will see how easy it is to share your BEST SELF on camera. Suze Orman didn’t just sell finance training, she put on a show! She let her sharp wit, vulnerability and snazzy-but-updated-Columbo-like coat show you how to make and keep more money! Rhonda Byrne didn’t just write her book, The Secret, she made a movie that became a world-wide phenomenon! Oprah didn’t sell spirituality, she had a show that transformed people’s lives and the television industry! (along with her body, people’s lives and even gave everyone a car) Great show! Alice Walker didn’t just write her book, The Color Purple, it was made into one of the most celebrated movies of our time and become a musical that still runs today!